Using an Early Contractor Involvement model, we get involved at the earliest possible stage, managing the design and construction of your project from concept to completion. We are able to deliver a full turn-key solution, leveraging our theoretical and practical understanding of project buildability, which creates a more efficient design for you. As controlled environment specialists we look at everything that affects the timing and cost of your project, not just the exterior building. We understand what materials work best in certain environments and the impact this can have on the construction project feasibility. Designing to a budget is second nature. Because we know the true cost implications of design changes, you’ll get real-time market feedback on scope creep. We also understand time is money and will consider construction sequence and methodology in the design stage. We involve key trades early in the process to ensure what is being designed is fit-for-purpose – and practically buildable . Apollo’s exclusive service agreements with key consultants and sub-contractors gives a competitive edge in terms of price, quality, programme and performance. There is no substitute for strong relationships. 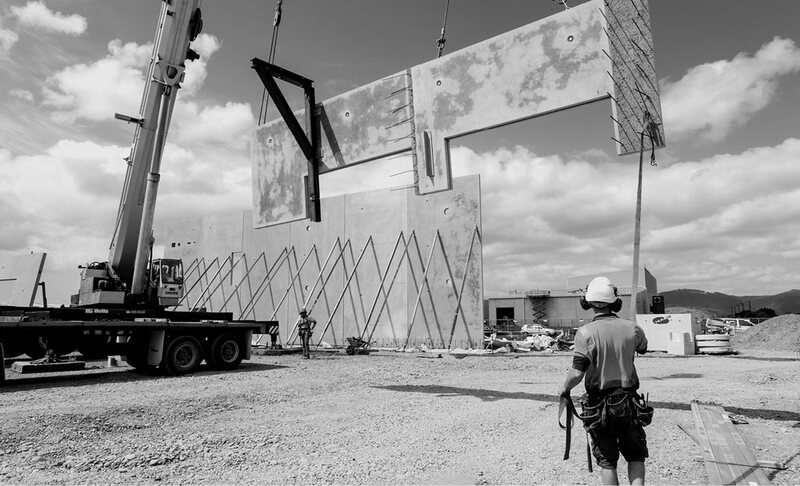 Apollo’s experienced site teams manage the full construction process, from site establishment to sub-contractor coordination and Health & Safety Management, all the way through to commissioning and building handover. The Apollo team is with you from start to finish. Our Business Development Managers are experts in their respective fields, and your first point of contact when you are considering a project. From the earliest stages, they will work alongside you to establish exactly what it is you want and need out of your facility. They will assist in identifying the key project deliverables (such as design, budget and programme), while offering specialist advice based on Apollo’s experience and expertises. Once a high-level understanding of your project scope is established, you will be presented with a Concept Agreement, outlining the process and associated costs involved in the production of a Concept Report. The Concept Report is an incredibly valuable document which allows the project to be defined in sufficient detail to create 100% clarity around what is to be delivered, when, by whom and at what cost – the aim is minimalistic design but with extremely accurate outputs. As soon as the Concept Proposal is signed, Apollo will assemble a team from our pool of trusted consultants and design/build subcontractors with expertise appropriate to your project, and begin the Concept process. Throughout this process all options around design and material selection are discussed and considered. The early input of our consultants, subcontractors and suppliers provides more certainty around both costs and timing. Most importantly, our ‘Safety in Design’ workshops consider Health & Safety from the start so that the design incorporates smarter and safer ways to build and maintain the facility. Once this comprehensive report has been compiled it will be presented to you for consideration. After the report has been presented to the client and reviewed we are able to react quickly to scope and design changes. As the Main Contractor, any budget implications are reflected immediately in our pricing – in contrast to an architect or Project Management Office, who would need to reissue the designs back to the subcontractor market for updated costing, taking valuable time. Once the design is finalised, the Concept Report is accepted and becomes part of our construction contract. We are flexible on open book or fixed price and can talk through the pros and cons of each contract structure. By this stage the Apollo on-site delivery team has been appointed. The delivery team may consist of a Project Director, Senior Project Manager, Project Manager and Site Manager(s) depending on the size and scope of the project. They are supported by the company Project Coordinator, Quantity Surveyor, National Health & Safety Manager and Finance and Administration teams, making sure your project is looked after from every angle. If there are gaps in the process mistakes happen – our robust structure and systems prevents this from happening. During the pre-construction phase, the Apollo team will manage all statutory approvals including Resource and Building consent applications, PIM, trade waste discharge and regional authority approvals. A procurement strategy will also be presented to the client and can include any client nominated contractors. Once agreed, Apollo will prepare detailed and accurate trade scopes for all trade packages. Our exclusive Service Partnership Agreements with trusted subcontractors also means your project will receive preferential treatment for project commitment, pricing, quality and performance. The project team will arrange all aspects of site set-up and mobilisation including surveying, access, fencing, site shed and amenities, signage and the preparation of a Site Specific Safety Plan – laying the best possible foundation for the construction phase. At Apollo we know collaboration and communication is key at every stage. You will be kept up to date with project progress via a Weekly Update report tracking progress of key on-site activities. Similarly, a more formal monthly Project Control Group (PCG) reports and meetings provide a more in-depth examination of budget, procurement, design and approvals. Our role doesn’t finish when the construction is complete. We take total responsibility of all effective plant operating systems, training and procedures. We work closely with you and your team to make sure all maintenance and operational requirements are clear, and we compile comprehensive Operations and Maintenance Manuals to ensure you have all the information you need to run an efficient and effective facility.